Get comfy in these quick-shipping Roots73® hoodies - 24HR! 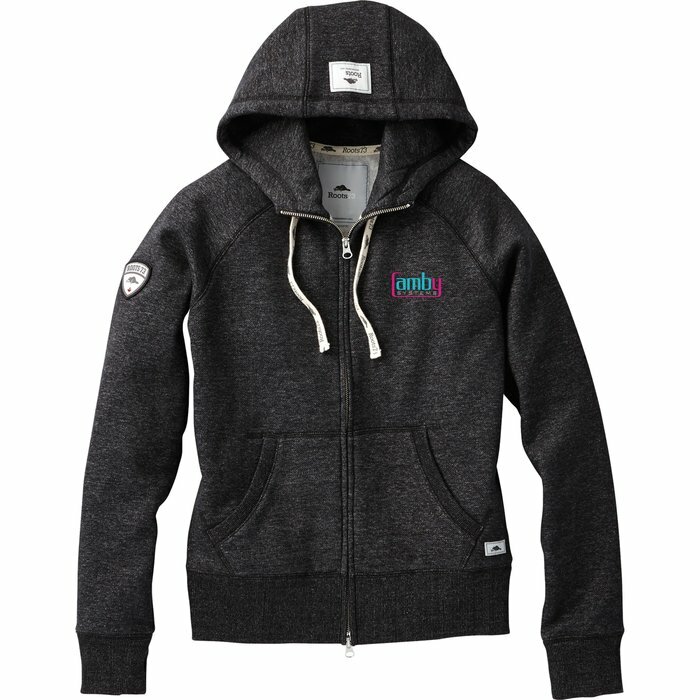 This full-zip hooded sweatshirt is a great addition to their casual or workout wardrobe. Made of 14.8-oz/lnyd, 80/20 cotton/polyester sueded washed fleece material for superb softness. The 2x2 rib knit sleeve cuffs with thumbholes and body hem are made of 95/5 cotton/spandex for a snug fit. Warm your fingers or store small items in the front patch pockets. 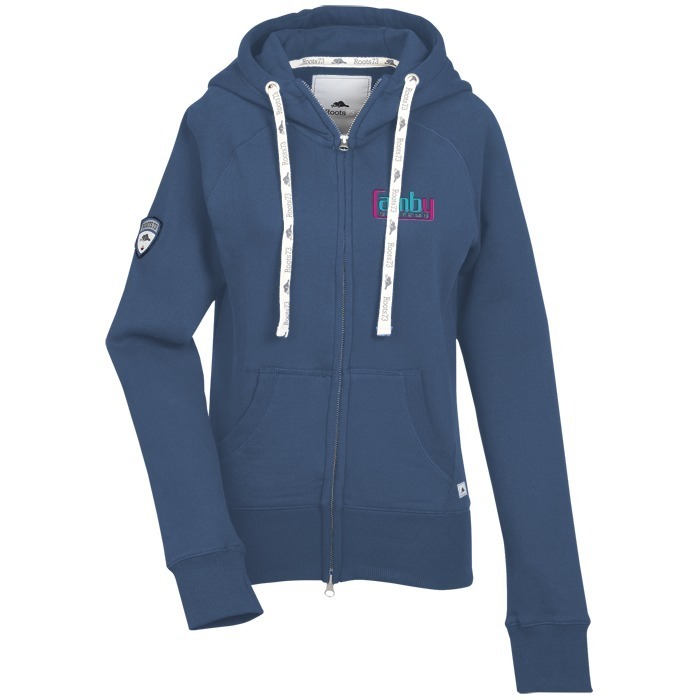 Comfortable, roomy hood with thick contrast drawstrings provides extra coverage. Store your phone, wallet or other valuables in the interior cotton jersey knit pocket. 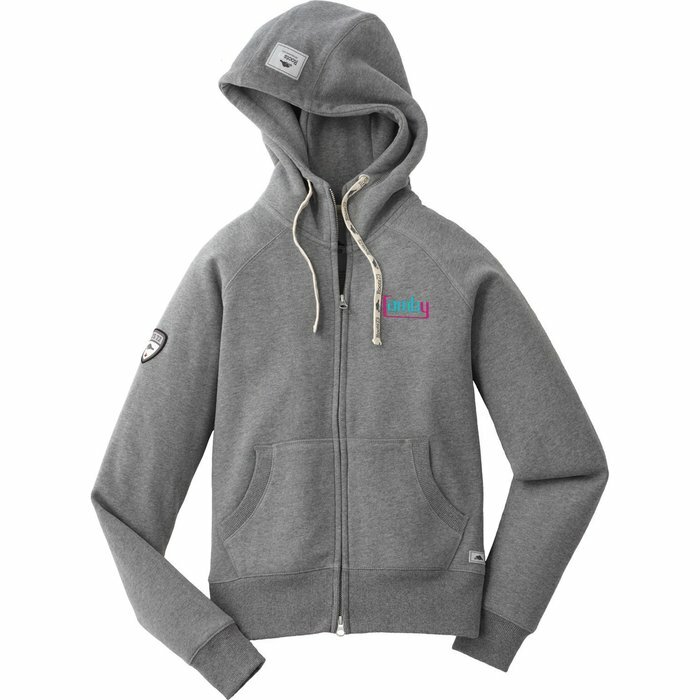 Full-zip hoodies are great for casual or lounge wear and pair easily with your company T-shirt! Available in several classic colours to choose from. Designed with shaped seams and a tapered waist for a flattering, feminine silhouette. For the coordinating men’s version, please see item #C136183-M-24HRRoots73 Riverside Full-Zip Hoodie - Men's - 24 hr. Special 24-hour service applies to production time only - please allow additional time for your choice of delivery options.